This book is aimed at guiding managers towards systematic approaches to improve and facilitate necessary strategic business development and planning. Conditions in the workplace for the Library and Information Services (LIS) are rapidly changing: many organizations are experiencing budget restrictions as well as stakeholders questioning the value of the services. 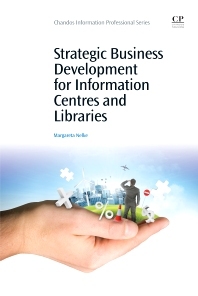 Strategic Business Development for Information Centres and Libraries offers methods and tools for LIS departments to ensure value and benefits are delivered to the parent organization. It argues that LIS must be prepared to change according to the parent organization's needs, to develop strategies for important activities and to seek alliances among key stakeholders. It also offers information on the best practice from five top-performing international LIS units. Margareta Nelke graduated from the Swedish School of Library and Information Science in 1982 and took a diploma in Marketing Management in 1990. After a short period at a public library and a university library she worked as an information specialist in corporations. 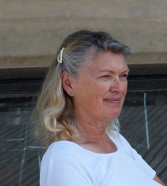 In 1983 she took up the position of library manager at Alfa-Laval and in 1989 she got a similar position at Tetra Pak. At Tetra Pak the library was transformed into a Technology Intelligence function in 1999. In June 2002 she took up a position as the Global Technology Intelligence Process Owner at Tetra Pak. From 2004 and onwards she has been working as an independent consultant in her firm, I.C. at Once, offering investigations, coaching and training in competitive intelligence, information management and business development. During the years she has contributed to several publications and written journal articles and books on knowledge management and competitive intelligence. She has also lectured at seminars and conferences, in some cases as the keynote speaker. In 2002 she was awarded by the Special Library Association the ESLY 2002 (European Special Librarian of the Year 2002). She is a member of the Swedish Association of Information Specialists and was the President of this association between 2006 and 2009. She was also a member of the board of the Swedish School of Library and Information Science between 2008 and 2014.